Several people were injured and dozens of vehicles were damaged in Baddu Nagar, where the police imposed prohibitory orders. 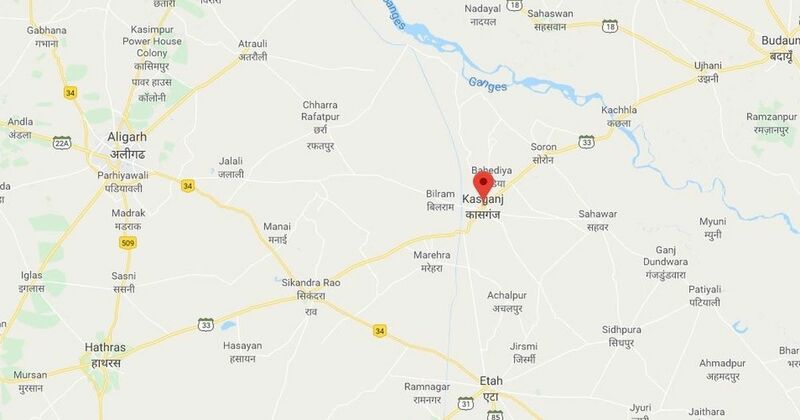 A youth reportedly died in clashes in Uttar Pradesh’s Kasganj district on Friday after unidentified miscreants pelted stones at a motorcycle rally of workers of the Vishwa Hindu Parishad and Akhil Bhartiya Vidyarthi Parishad. Local reports said several people were injured and dozens of vehicles were damaged. The two groups had taken out a Tiranga (tricolour) rally on the Mathura-Bareilly highway to mark the occasion of Republic Day. They were targeted in Kasganj’s Baddu Nagar. The police said the stone pelting seemed spontaneous and not planned. Additional Director General of Police (Law and Order) Anand Kumar told PTI the district administration had the situation under control, but had called in additional forces as a preventive measure. “The troublemakers are being identified, and stringent action will be initiated against them,” he added. District Magistrate RP Singh said they had imposed prohibitory orders in the area, barring more than four or more people from assembling in one place. Kumar told ANI the police had detained several people for interrogation. “We will take action against those responsible after a proper investigation,” he said.